Melitopol celebrates the 25th anniversary of the Crimean Tatar Committee Azat, the Crimean Tatar historian Gulnara Bekirova reports on Facebook. According to her, the events in honor of the Azat Committee have been held for several days already. 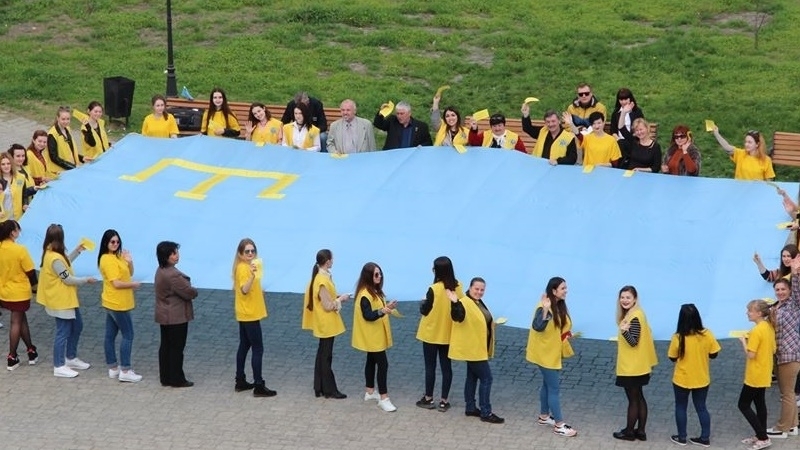 “In Melitopol, several events have already been held in honor of the 25th anniversary of the Crimean Tatar Committee Azat. Today it was beautiful. Tomorrow and the day after, solemn events will continue,” Bekirova wrote. The historian published photographs of the festive events. Earlier, on March 31 in the Melitopol city museum of local lore an exhibition "Crimean line of fire" was opened. The exposition includes 10 portraits and life stories of Crimeans who fought in the area of the Antiterrorist operation in the east of Ukraine.